Dancers perform Traditional Bellydance moves to non traditional music. Over 21 setting. This class will focus on the fundamentals of belly dance from the stylistic perspective of Egyptian Oriental and American Cabaret styles. We will explore the foundation of these styles by learning basic movement patterns and simple layers. Students will have the opportunity to learn and, depending on comfort level, perform group choreographies. Once a month there will also be a special interactive cultural competency element introduced to our normal technique class. 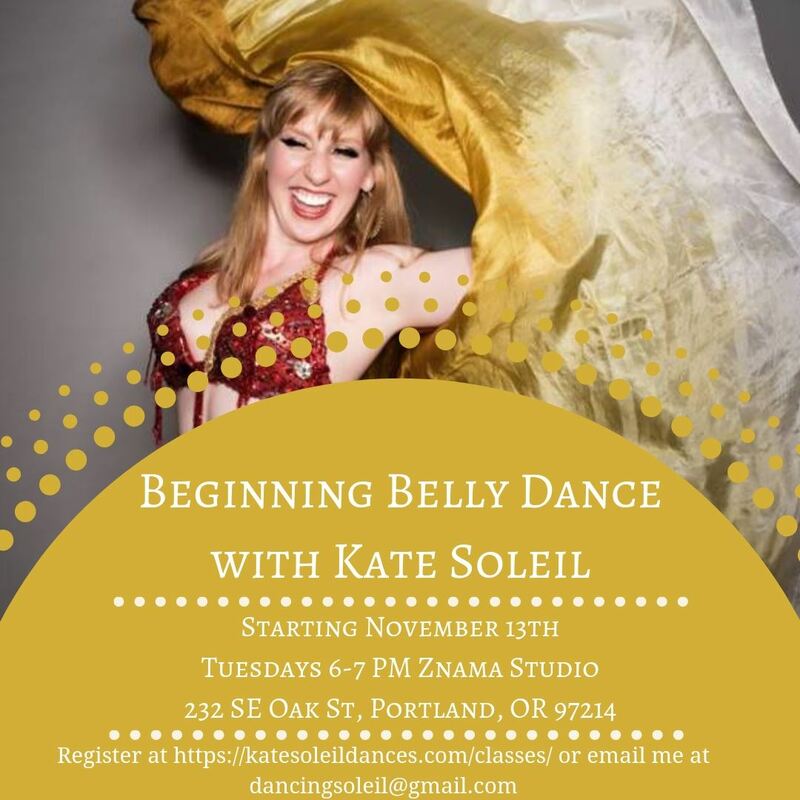 This class is designed for the absolute beginner or those with 1 year or less of belly dance experience. $15 drop in, 4 classes for $48, 8 classes for $88. Dancing in a safe and nurturing circle, learn tribal basic steps, build core strength, and have fun! Great for women new to belly dance in general or tribal belly dance in particular. Work on isolations and strengthening for all levels while learning basic moves and adding layering, duets, drills, and Tribal Technique. **** For all classes, please come in comfortable dance-wear that will allow you to move and sweat. It is helpful to wear clothes that will let you see your body and belly as you hone your movements. If going barefoot isn’t comfortable for you, you may wish to bring lightweight dance shoes. Many dancers choose to wear tribal style accents — skirts, embellished belts, cropped choli tops, flowers and feathers — but you should wear what pleases YOU! Hosted by Zantheas and Aladdin's Cafe. No cover. Family friendly! Please call for reservations: (503) 546-7686. If you are an experienced belly dancer (any style) and would like to dance, please email us at zantheas.bellydance@gmail.com. THIS IS A FOUNDATIONS BELLYDANCE CLASS, WHERE ALL LEVELS ARE WELCOME. WE WORK ON MUSICALITY, MUSCLE-CALITY, FINDING THE DOWNBEAT, AND MORE. WE DANCE IN MY LIVING ROOM WITH NO MIRRORS. ITS NOT YOUR TYPICAL DANCE STUDIO CLASS, IT IS LIVING ROOM STYLE! The April ATS® Essential Series focuses on Fundamental Formation! This 5-week session, happening on Monday evenings, studies group formations and the idea of group improvisation that makes ATS® such a unique art form. Utilizing beginning level ATS® movement vocabulary, each class will present a group formation and a transition, allowing the group to dance improvisationally! The concept of leading and following will be introduced and drilled in structured exercises, allowing dancers to build confidence in all positions of the formation and develop an understanding of the non-verbal communication that makes improvisation a success! The final class of the series, on April 29, 2019, the dancers will have the opportunity to demonstrate their skills in a private FLOW presentation. Class begins at 6:30 and lasts for 55 minutes. Dancers brand new to ATS® are welcome and classes are Drop-In friendly! Get all 5 classes for $60. Drop-In for $15 per class, payable at the studio. Participation in Part I is required for enrollment in Part II. Part II of the Spring ATS® Performance Prep series will focus on rehearsing for public performances. Dancers must demonstrate clear knowledge of basic ATS vocabulary, understand ATS formations and the concepts of lead/follow, as well as have strong technique and posture. Participants in Part II will have the opportunity to put these skills to the test in two public performances at the Art of Movement on Saturday April 27th, 2019 in Hood River. The performance is optional and there will be participation opportunities for all level of dancer. Ideas to share? Want to make something happen in your bellydance community? Want to get involved? Come down the the Guild meeting! All members are welcome. Meeting in the back room (The Barrel Room) at The Rogue Eastside Pub and Pilot Brewery, 928 SE 9th Ave, Portland, OR 97214. Minors are welcome. All are invited to participate in these 2 workshops taught by Kamala Almanzar of Los Angeles. Workshops are titled: "Graceful Combinations: Reda Troupe Combinations with Reda Inspired Modern Movement" and "Oriental Dance Kamala Style!" Workshop tickets to be purchased at www.hennadances.com. Please nominate someone you know, or nominate yourself! We need members to run for council--it's a great opportunity to help your dance community and shape the future of the guild! You, yes you, can do it, even if you've never done anything like it before! Keep an eye on your email and Facebook for a link to the nomination form! Time to vote for you Portland Belly Dance Guild Board! Look to your email or Facebook for a link to the voting form, and thanks for voting! October 14, 2017 PBG's Haflaween! March 10, 2017 Dance Takeover! 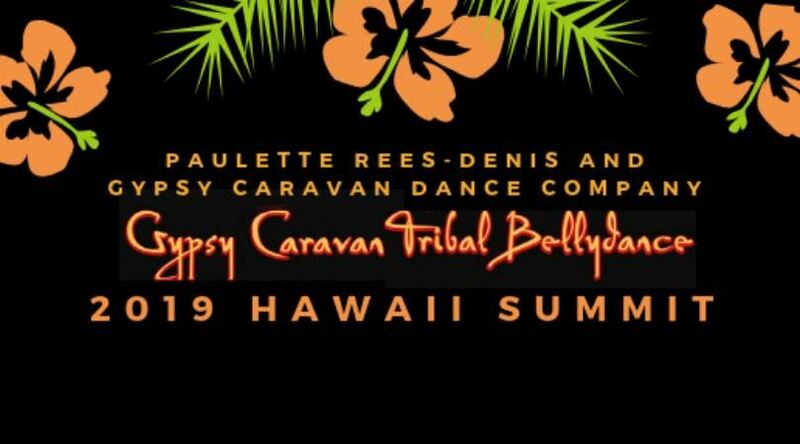 January 11, 2017 PBG's Bellydancer Happy Hour! December 11, 2016 PBG presents: Winter Hafla! OPEN TO ALL!